Reach Publishing Sdn Bhd was incorporated in 1999 and we have been involved in producing award winning content both on digital and print form. 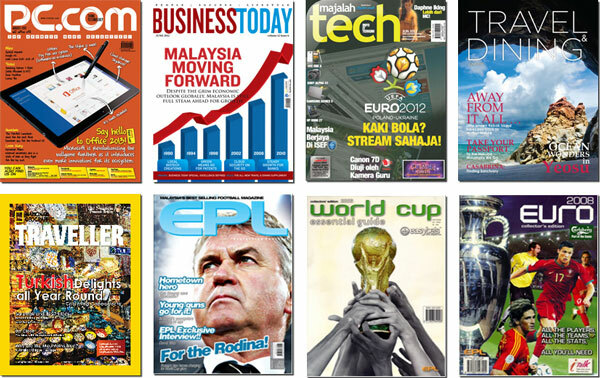 Our magazines include PC.com, Majalah Tech, Business Today, Travel & Dining, Euro, World Cup and Malaysian Golf Directory and in digital format with media sites like LiveatPC.com and BusinessToday.net.my. Our vast experience in technology related media content have achieved us Tier 1 status among the industry. We have excellent working relationships with various tech bodies and government agencies, and partnership with over 100 academic institutions. Interest from universities also allowed us to create our very own Mobile Cruiser team, the road show team has special focus on varsities and campus events. Over the years we have brought PC.com and partner brands to 1.5 million students with fun filled activities and engagement. The company has 17 employees, all of which have over 5 years of experience in media, content and publishing. The current Editor-in-Chief of Reach Publishing, overlooks all magazines and ensures that only the highest standards are met. Curating the right content that fits into our platforms and spots future trends to be introduced to the ever demands of our readers. The Editor of PC.com and BusinessToday have exceptional experience in the work they do, overseen by the Editor In Chief, the editors plan daily, weekly and monthly content and manage writers on reviews, videos and breaking stories. Our writers are passionate individuals who thrive for news and have intrinsic quality, our hardware reviewer is a gamer and self confessed geek. While our lifestyle writer loves food and travel, takes brilliant photos and plays computer games, that’s versatility for you.